Sixty-seven students from across the state came together Jan. 14 at the State Capitol to voice their concerns about public education in Oklahoma. 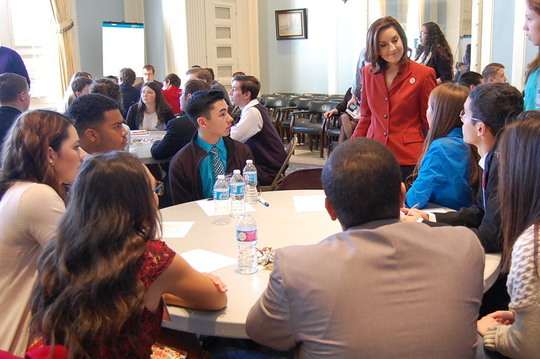 State Superintendent of Public Instruction Joy Hofmeister listened to their opinions on end-of-instruction exams and bullying. Read the full story. The state Legislature convened Feb. 1 and will be in session through May. All bills for the year have been filed, including 1,727 newly introduced measures. Last year, of the 2,290 bills introduced, 661 were education-related. Of those, 66 passed. 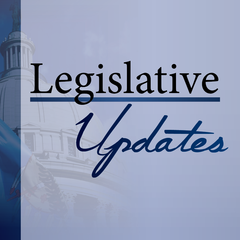 KOSU recently published an at-a-glance summary of some of these bills. Read the story now. Use the Legislature online search to look up any bill. If you would like to voice your opinion on a bill, find your legislators’ contact information. Search now. 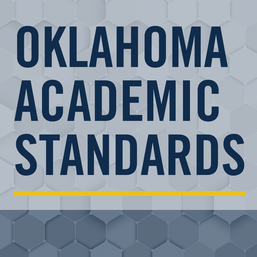 The Oklahoma Academic Standards (OAS) are one step closer to becoming official. On Jan. 28, the State Board of Education unanimously approved the final draft of the new standards for English language arts (ELA) and mathematics. 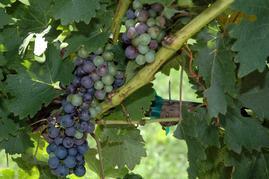 The standards are now awaiting approval from the Legislature. Under House Bill 3399, which repealed Common Core, the state was tasked with adopting standards to begin the 2016-17 school year. The new evidence-based standards were written by teams of educators from Oklahoma institutions of higher education and districts across the state. Since June, drafts have been reviewed by thousands of teachers, curriculum specialists, parents, legislators, education organizations and citizens who participated in multiple rounds of public comment. The State Regents for Higher Education has certified the new standards as college- and career-ready. The new standards are more rigorous than PASS standards. Vertically aligned, they offer a renewed focus on foundational skills, including phonics, cursive writing, basic grammar and writing research papers in ELA, and counting money, standard algorithms, patterns, ratios and proportions in math. They were specifically created to be easier for teachers and parents to understand. Once the new standards are approved by the Legislature, the Oklahoma State Department of Education will immediately begin working to ensure all schools are adequately prepared to use them as soon as possible. View the standards, support letters and ancillary booklets. 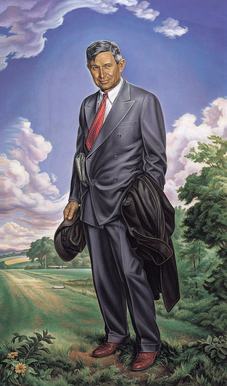 Black history is history; it is Oklahoma history; it is United States history. The more we emphasize black art, literature, music and culture as mainstream, the more integrated our history becomes. Leaders from the African-American community challenge us to move out of our comfort zone and think critically about our communities. Isn’t this what we strive for our students to do? Challenge your students to explore the importance of music in the African-American community. Students can use TPCASTT (see below) to analyze the content of the lyrics, then create their own. Realizing the Dream at the Oklahoma History Center. This updated exhibit features information and artifacts of extraordinary individuals. Historic places in Oklahoma have been recreated, such as Richard Lewis’s barbershop and Clara Luper’s living room. Explore the Kerr-McGee Gallery. The Greenwood Cultural Center in Tulsa. Dubbed America’s "Black Wall Street" by Booker T. Washington, the 35-block Greenwood District became a prosperous center for black commerce in the early 1900s, housing more than 300 black-owned businesses. See the history of the Cultural Center. The Birmingham Civil Rights Institute. It offers free lesson plans and resources. View the curriculum guide. Lessons in the series are designed to be visual, colorful and engaging, with hands-on projects that will capture the attention of your students. Watch the videos. Shawn Sheehan, Oklahoma’s Teacher of the Year, will fly to Washington, D.C., on Feb. 28 to interview as one of the four finalists for National Teacher of the Year. During the two days of interviews, finalists will give a 5-minute speech that will be filmed, speak with multiple panels about education issues and complete a “media scenario” in which they will be evaluated on how they respond to difficult or unexpected questions. We’re kicking off a well wishes campaign for Shawn as a show of support. If you’d like to participate, send a tweet with the hashtag #SheehanNTOY16. You can also email a message or a short video here. Good luck, Shawn! Read Shawn's latest blog post about what every education conference needs. MAKE IT REAL: Put math into a real-world context your students will understand. Talking about money? Create a class store. Learning about geometric shapes? Look at architecture around your city. 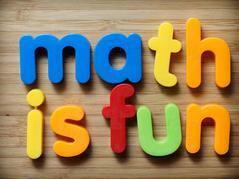 Make math from the real world come alive! This is authentic learning at its best. NUMBER TALKS: Put a simple problem on the board, ask students to illustrate the problem in their own way, then share their answers. This gives you a great glimpse into their thinking. What better way to teach than letting your students do it for you? HIDDEN PICTURES: Use any picture to let students find math “hidden” in the details. For example, a simple picture of a playground with kids is full of math. How many total feet are pictured? Did you solve that by counting by 2’s or multiplying? A picture is worth a thousand math words! Above: “Flight of Spirit” by Mike Larsen is a tribute to five world-renowned Native American ballet dancers from Oklahoma. It is a mural on the Capitol's fifth floor. Below: Student activities to go with the iconic “Will Rogers” painting include creating life-size portraits and studying the humorist's life. The Oklahoma State Capitol acts as the headquarters of state government, but it also doubles as a fine art gallery, showcasing sculptures, murals and portraits throughout the historic building. The Oklahoma Arts Council has developed dynamic lesson plans and activities to help engage students in arts and social studies by integrating Capitol art into their lessons. Included on its website are complete overviews, artist profiles, student questions, historic and visual art details, and suggested reading. Access these free resources for teachers, including a hour-long DVD tour of the Capitol. Above: Callie Hall, currently a 9th-grader at Shawnee High School, reads to students at the Shawnee Early Childhood Center during its Read Across America celebration in 2015. Below: Katelyn Eddy, a 2nd-grader last year at Ida Freeman Elementary, posed for a "Suess-tastic" photo in the Edmond school’s photo booth. The Dr. Seuss Camera app was used to add graphics to the photo. 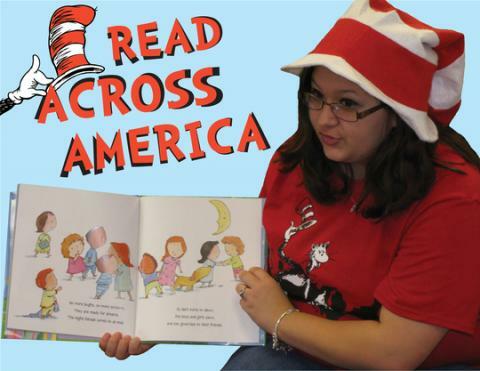 Children nationwide will celebrate literacy on Read Across America Day, which falls on Dr. Seuss’s birthday, March 2. Many school celebrations will last all week with dress-up days, birthday cakes, author visits, guest readers from the community and even birthday parties. At Dewey Elementary School, students have been reading across America all year. A United States map hangs outside the library, and each book a student reads equals one mile. 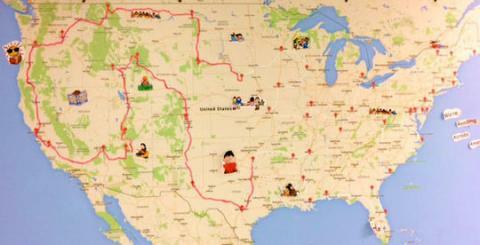 Currently in Nebraska, the students are following a path that leads them through each state. Once a month at their school-wide assembly, they celebrate how far they have traveled. Teachers read books aloud about the state they have visited. On Reading Across America Day, each class at Dewey will set up a project in the gym on a state it has chosen. The entire school will walk around to each state exhibit. Principal Jerri Moore says the celebration is not just limited to the library – it’s integrated into every classroom all year long. 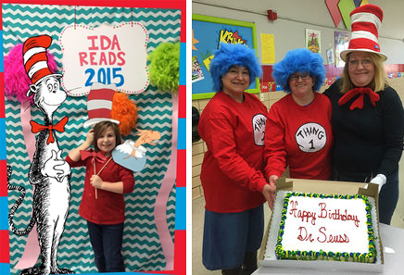 Above: Library assistants Betty Matlock and Lisa Oden join Shawn Parks, library media specialist at Bell Elementary in Tulsa, to celebrate RAA Day with cake. Below: A map outside the Dewey Elementary Library tracks students’ reading progress. Register now to take advantage of free award-winning curriculum specific to Oklahoma. Newspapers in Education (NIE) has provided resources for teachers since 1960. NIE-registered teachers receive daily delivery of The Oklahoman via the digital print replica and access to the newspaper’s archives dating back to 1901. Registered teachers are also eligible to receive supplements printed by The Oklahoman in classroom sets. Register now and view the catalog of more than 100 lessons and workbooks, click here. Also, visit the site to learn more about contests with prizes up to $1,500. Deadlines range from March 21 to April 30, and topics include geology, aerospace and defense, History Day and improving the community. 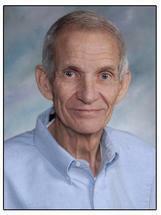 We salute Ray Snider, at R.J. Wells Middle School in Catoosa, on 50 years of teaching! Fellow teacher Donna Young says Ray (pictured at left) is still very excited about teaching after all these years and is a phenomenal science teacher. Congratulations to Amber Bales, named the 2016 Oklahoma Ag in the Classroom Teacher of the Year! The third-grade teacher at Morrison Elementary in Morrison was surprised with the honor Feb. 10 at a school assembly. 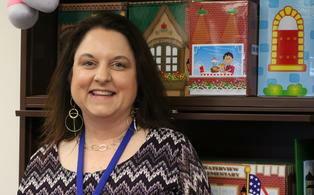 Amber, who has been teaching for 19 years, will speak at Oklahoma’s summer AITC conference and will help other teachers learn how to use AITC lessons like sprouting bean seeds and the health benefits of purple fruits and vegetables. David Beiler, who works at Jenks High School, is a finalist for 2016 National Assistant Principal of the Year! David, a former math teacher, leads STEM activities at the Jenks math and science center and focuses on ways create a personalized environment for each student. We are rooting for you, David! If you know an educator who has achieved a significant honor, we want to know! Email us their story. The education conference of the year is returning! The EngageOK Education Conference is set for June 19-21 in Oklahoma City, and provides learning opportunities and professional development for everyone from teachers and administrators to engaged parents. Last year, approximately 6,000 people attended more than 200 breakout sessions, while general sessions featured keynote speakers and entertainment from Oklahoma students. The conference, organized by the Oklahoma State Department of Education is free, but registration is required. To register, click here. What do you want to learn about at EngageOK? Submit your ideas by Feb. 23 and help us shape our program. To submit your proposal, click here. 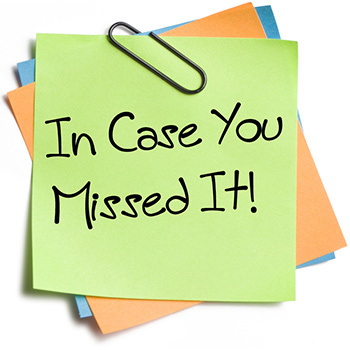 Watch a highlight video from 2015’s conference. Northwestern Oklahoma State University (NWOSU) is offering a teachers’ workshop on the American Revolution and the Early American Republic. The workshop, June 6-9, is free but limited to 20 attendees.